Seplat has cleared one major hurdle toward Final Investment Decision regarding the Assa North/Ohaji South (ANOH) gas project, located in Rivers State, Nigeria’s largest natural gas holding state. The London listed company signed, together with the Nigerian National Petroleum Corporation (NNPC) and other related companies, the Shareholder Agreement and other Commercial Agreements for ANOH Gas Processing Company (AGPC) project on Monday, 13th August 2018, at the NNPC Towers, in Abuja, the country’s Federal Capital. 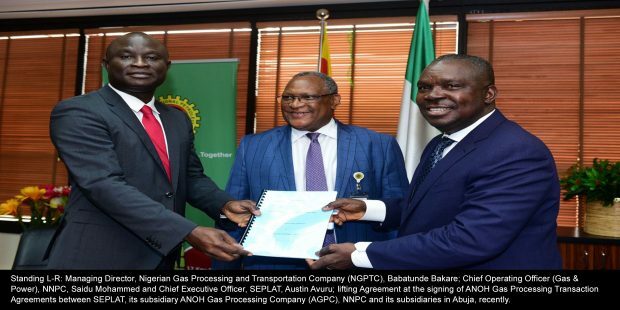 The signed Shareholder Agreement will govern SEPLAT and Nigerian Gas Processing and Transportation Company (NGPTC) respective interests in the AGPC incorporated Joint Venture. The AGPC incorporated joint venture, in which Seplat and NGPTC hold 35% each, is the midstream company that Seplat has always talked about. 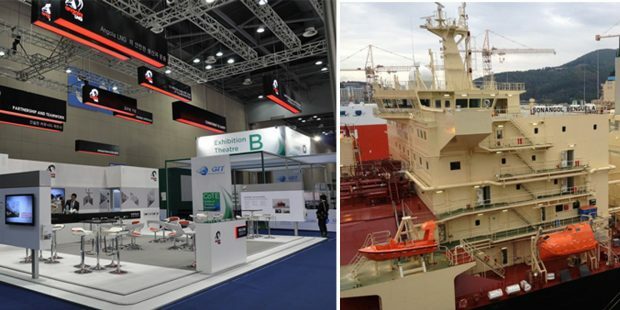 Patterned after the NLNG, in which NNPC, Shell, TOTAL and ENI hold equity, AGPC will buy natural gas from the upstream JV: the NNPC/Seplat JV in Oil Mining Lease (OML) 53, and process and deliver both dry gas and several products to customers in the domestic market. “The execution of these Agreements is an important precursor to the Final Investment Decision (FID) for the ANOH project”, Seplat says in a release. There are other conditions precedent to the FID, of course, and the timeliness of the completion of plant and inauguration project all of the depend on these conditions, but the agreements signed on Monday, especially the completion of incorporation of the AGPC incorporated Joint Venture, have been collectively close to 12 months in the making. AGPC is being promoted by the NNPC and Seplat to develop, build, operate and maintain the Company “as a world class Organization delivering on its objectives”, the NNPC said at the event. 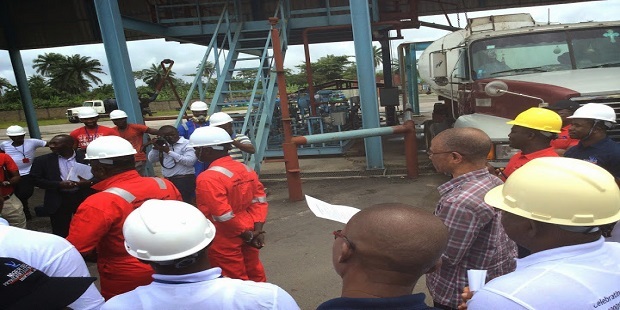 Seplat, on its part, explained that the ANOH Gas Processing Plant is a milestone project which aligns with the gas infrastructure development initiative of the Federal Government of Nigeria. The company assures that the AGPC would deliver the project on schedule within the next eighteen months and achieve its objective of being a major gas supplier to the domestic market. Gas Marketing Agreement between AGPC and NGMC. The Nigerian independent, Niger Delta Exploration and Production (NDEP),is hoping to expand its supply of natural gas from its Ogbele field far beyond the requirements of its two offtakers. The company’s only domestic gas offtaker is PGINL- Power Gas Industries Nigeria Limited, which compresses the gas and uses it to generate power in offsite industrial locations. But the “anchor” client for NDEP’s100Million standard cubic feet of gas per day capacity processing plant is the Nigerian Liquefied Natural Gas NLNG Ltd in Bonny, to which its supplies 35MMscf/d. NDEP has prided itself for five years as the only non NNPC JV partner and the only indigenous company which supplies the NLNG system. Now the company’s ambition has soared above the satisfaction it derives from being the only indigenous company supplying gas to an export project in a country where there is energy deficit on account of gas supply constraints and where industrialisation can take off on the wings of natural gas production. “Currently, we are negotiating a few more offtake agreements and as soon as those are completed and they are ready to offtake gas, we are obviously in good stead to deliver gas”, Layi Fatona, the company’s Chief Executive Officer, told me in a recent interview. “I have always said that we have the most Unencumbered-Ready-To-Deliver-Gas among the indigenous companies”. Fatona says he cannot name the names of companies that NDEP is currently negotiating Gas Purchase agreements with, “because negotiating a gas deal is an extremely tricky thing. But at least currently today, we have a reasonable number of interested parties who are discussing with us aggressively”. The Full Interview with the CEO of NDEP is in this link. American independent Noble Energy will be exporting gas from Israel to the Jordanian power utility, National Electric Power Company Ltd. (NEPCO) of Jordan from 2017. 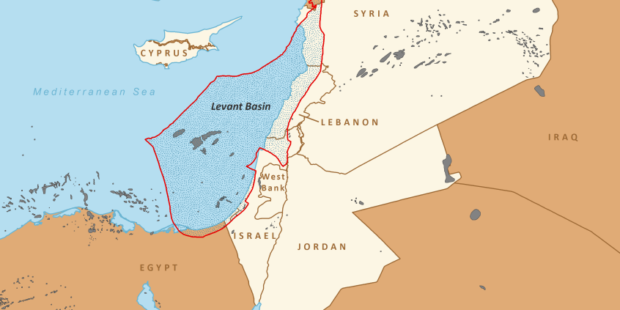 The gas will be flowing from the 16 trillion Cubic feet Leviathan field, located in the Mediterranean Sea, off the coast of Israel. The execution of a gas sales and purchase agreement (GSPA) to supply natural gas for consumption in power production facilities, follows a previously-announced agreement with the Jordan Bromine Company and the Arab Potash Company, which will establish first gas exports to Jordan from the Tamar field (also in Israel), in late 2016. In Salah Gas, a joint venture between Sonatrach, BP and Statoil has started up its Southern Fields project. 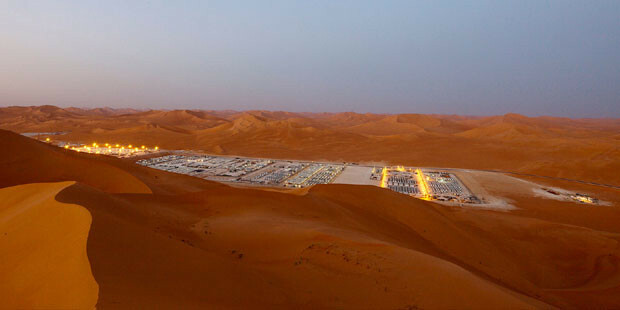 It is the latest stage in the development of seven gas fields in central Algeria. The In Salah Gas joint venture commenced production in 2004 from three fields in the north of the area: Krechba, Teguentour and Reg. The Southern Fields project involves the development of four dry gas fields: Gour Mahmoud, In Salah, Garet el Befinat and Hassi Moumene. Developing the Southern Fields will maintain planned production at 318Billion cubic feet (9Billion cubic metres) per annum. Drilling of 26 planned southern field wells began in 2014 and is planned to continue until 2018. The project’s scope includes a new 500MMscf/d gas dehydration central processing facility close to Hassi Moumene, brown field modifications to existing processing facilities at Reg, Teg and Krechba, 150 km of carbon steel export pipelines, 160 km of 13% chrome corrosion resistant alloy infield flowlines and the drilling and tie in of the 26 new wells. Production is planned to ramp up to the planned peak of 14.1 million cubic metres per day (500 MMscf/d) as wells in the Hassi Moumene and Garet el Befinat field are brought on line between February and April 2016. Most gas supplied in Ghana have flowed to the Takoradi (Western region) Power cluster; now electricity projects in Tema in the east can be sure of supply..
25km east of Accra, the country’s commercial hub, “will have the scalable ultimate capacity to receive, store, regasify and deliver, at steady state, about 3.40 million tons of LNG per year, equivalent to 500 million standard cubic feet of gas per day, utilizing a state-of-the-art dedicated floating storage and regasification unit (FSRU) moored off-shore Tema”, says Ghana National Petroleum Corporation (GNPC). The project will be delivered by Quantum Power, a pan-African energy infrastructure investment platform, with which GNPC has signed Heads of Terms. 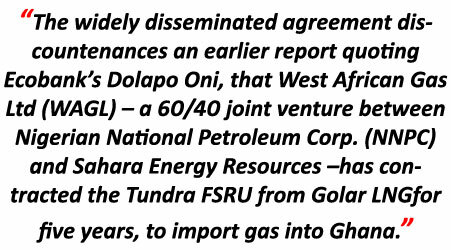 The GNPC/Quantum LNG Supply agreement-reported and widely disseminated by GNPC itself – discountenances an earlier report, quoting Ecobank’s Dolapo Oni, that West African Gas Ltd (WAGL) – a 60/40 joint venture between Nigerian National Petroleum Corp. (NNPC) and Sahara Energy Resources – has contracted the Tundra FSRU from Golar LNG for five years, to import gas into Ghana. 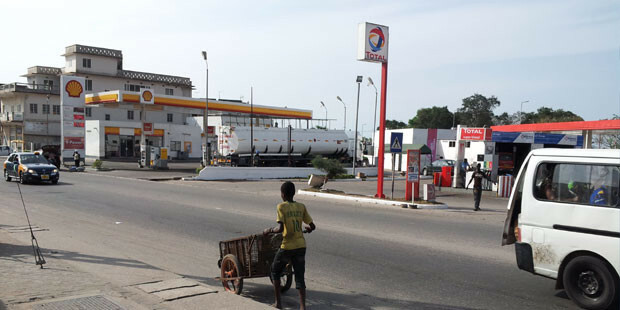 Most gas distributed in Ghana, either from import (West Africa Gas Pipeline) or produced in the country (Jubilee field) go directly into the power cluster in Takoradi and environs in the west of the country, whereas electricity projects in Tema in the east are gas starved. The government targets 5,000MW of electricity, which is about doubling the current output, by 2017. The country has ordered two thermal generating barges with total capacity of 450MW, from Turkey.And ongoing gas-fired power plant projects include a 360MW capacity plant that is additional to the current 200MW capacity at the Chinese owned Sunon Asogli plant, 230MW thermal plant at Kpone, near Tema and a new plant being built by TAQA, Abu Dhabi’s National Energy Company, to increase an existing plant by 110MW, all grossing 1,110MW on top of the exiting 1,245MW. When these are completed between 2016 and 2017 they will collectively require total gas volume of at least 300 million standard cubic feet of gas per day (300MMscf/d). This is where the challenge is: what is currently imported and generated in country is not up to 200MMscf/d. Of the Tema LNG Project, the GNPC says: “An associated sub-sea and onshore pipeline will deliver the natural gas to GNPC and its customers onshore. The project, comprising a capital outlay of over $550Million, will be implemented on a build-own-operate-transfer (BOOT) basis with the assets transferring to GNPC after the Project’s 20-year term”. Commencement of operations is scheduled for the end of 2016 and, given its design, the Tema LNG Project has a built-in scalability, which would make it play an increasing role in meeting Ghana’s growing energy demand; providing the Ghanaian power generation industry with a highly reliable and clean fuel supply to meet projected power and industrial needs over the next 20 years. The Tema LNG Project will provide GNPC with the flexibility to manage volatility in power demand and fluctuations in domestic gas supply, while mitigating the effect of unpredictable rainfall on Ghana’s power balance. The Tema LNG Project has been under development for three years, involving some of the world’s most experienced engineering teams collaborating on an innovative design to address the specific maritime challenges in the Gulf of Guinea, while assuring optimal year round operability. The terminal, which will be located 12 kilometres off Tema’s shore allows for cost efficient refuelling and regasification without affecting maritime and port traffic.